My weekly life drawing sessions are going well. The classes are for beginners - and students are doing some great work. Many starter-artists (as I call them!) 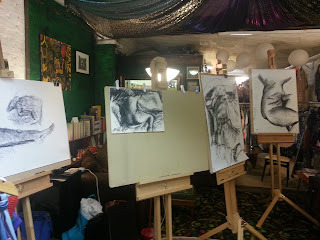 want to do life drawing, but are worried that their work is not of a 'good' standard, or that they will find it difficult to develop their work because of lack of confidence. 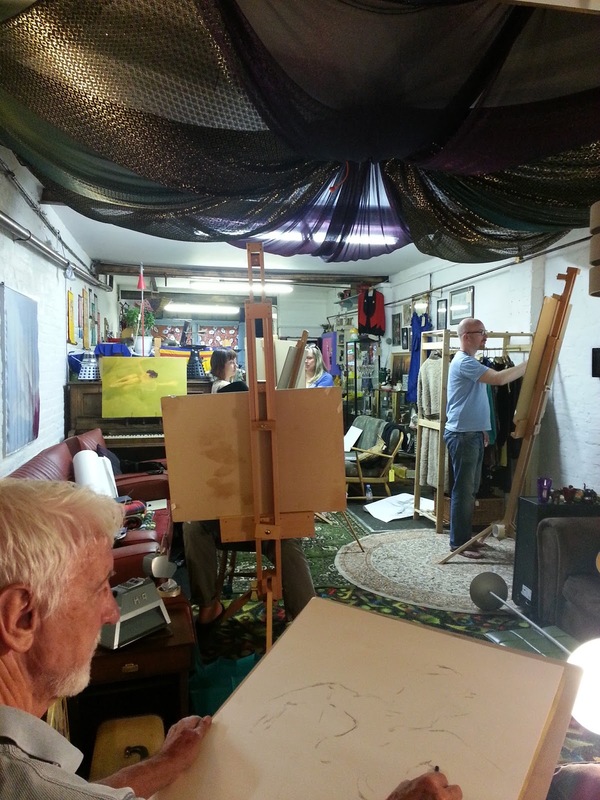 Well - my sessions help to develop personal confidence as well as observational drawing skills. My two hour long classes are usually held at the White Elephant vintage/arts space in Southsea, Portsmouth on a Tuesday evening and run in six week blocks - with easels and drawing boards provided. If you would like to join me, even for one session if not the whole course, then please leave a comment or get in touch with QOE Creative to book a place. It is very rewarding to teach drawing - as everyone sees things differently - and it is a privilege to see how things are interpreted from a personal point of view - each mark that is made says something about the artist... and it is great to see students develop their skills over the six weeks.